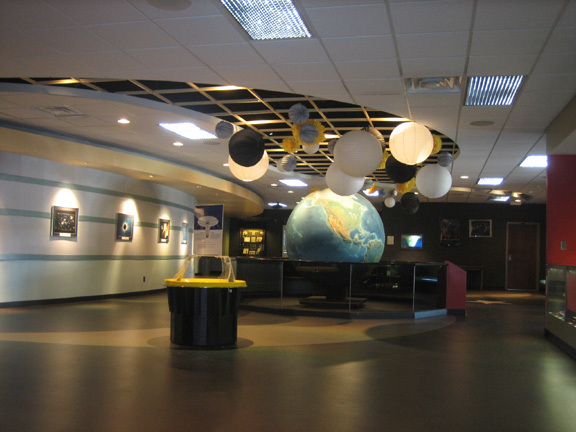 The entrance of the Abrams Planetarium opens directly into the Exhibit Hall. 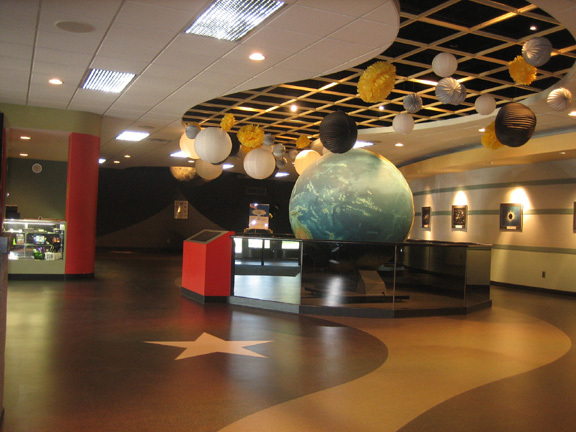 The Exhibit Hall is an area approximately 3,000 square feet in size and is devoted to a series of exhibits, which are designed to supplement the demonstrations given in the Sky Theater. 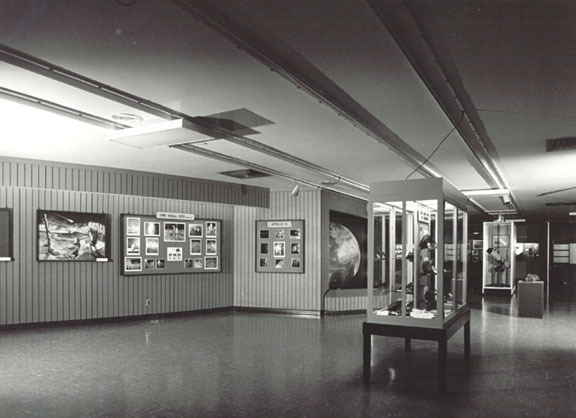 The hall serves as an assembly area for visitors and students who are waiting to attend a show. 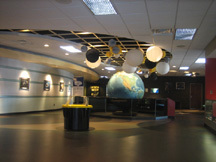 The Exhibit Hall also contains a gift counter and the main offices used for day-to-day operations of the planetarium. 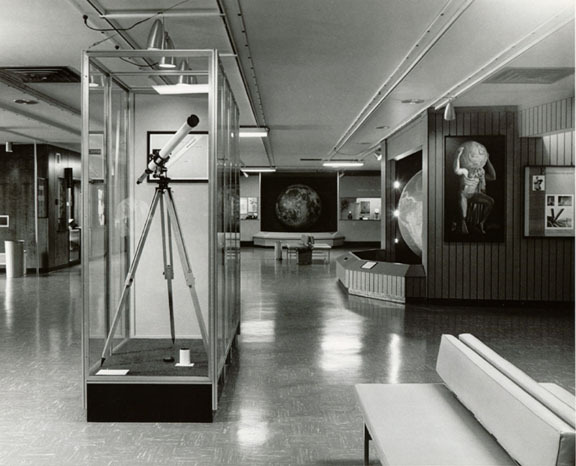 The Exhibit Hall has recently undergone renovations in order to modernize its appearance. 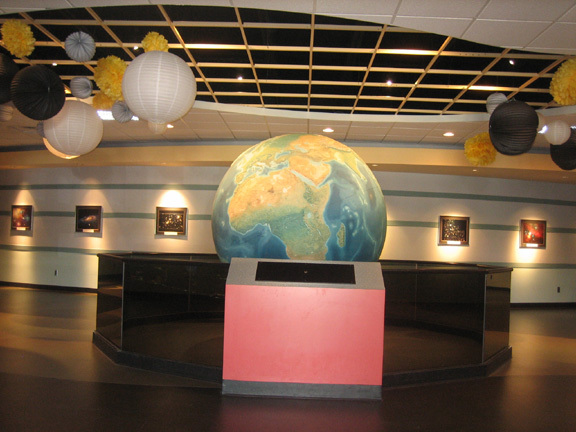 Along with a new ceiling design, prominent displays such as the Earth and moon globes have been repositioned. 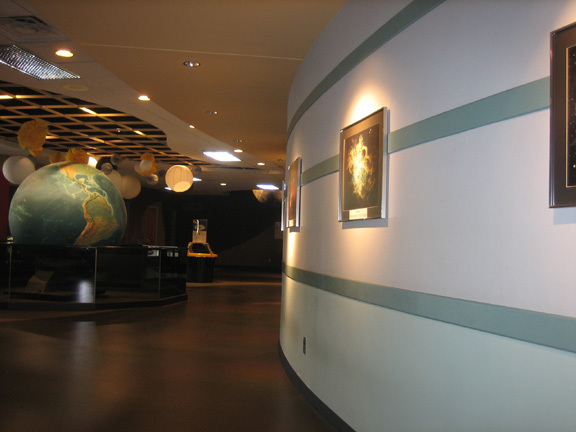 Updated displays include a wall of photos highlighting some of the most stunning astronomical images taken in recent years.